So, it's been almost a week since I last posted...and what a busy week! I've been cleaning, sewing, and canning...now I need to focus on some Science class lessons -- school starts for us on the 31st. I still have some decorating to do in there...the Farmland Bunting from VBS and some new curtains to go up, but it so nice to have them together. 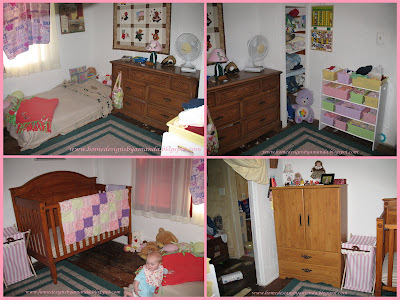 The once toy bins are now Amber's clothes and Amber's dresser (that's still in our room) has blankets/sheets in it. Now that I'm quilting, I'm so excited that I got it! 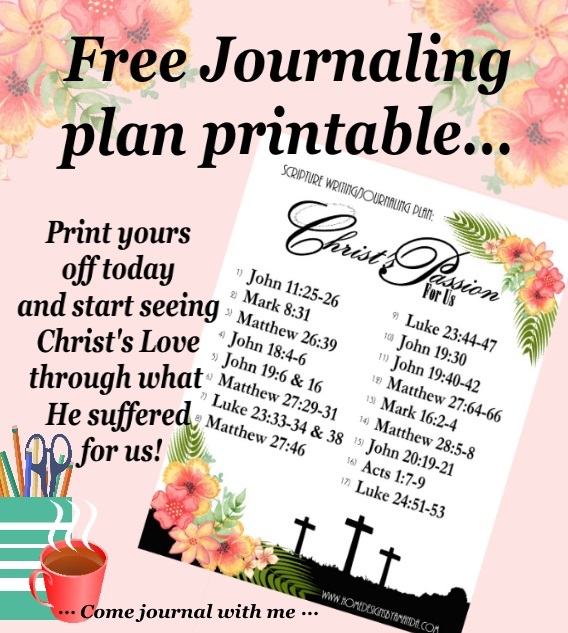 At the beginning of each section is a quilt pattern and the pieces need to make templates...also, there are tips, Bible verses, and cute quotes among the recipes. 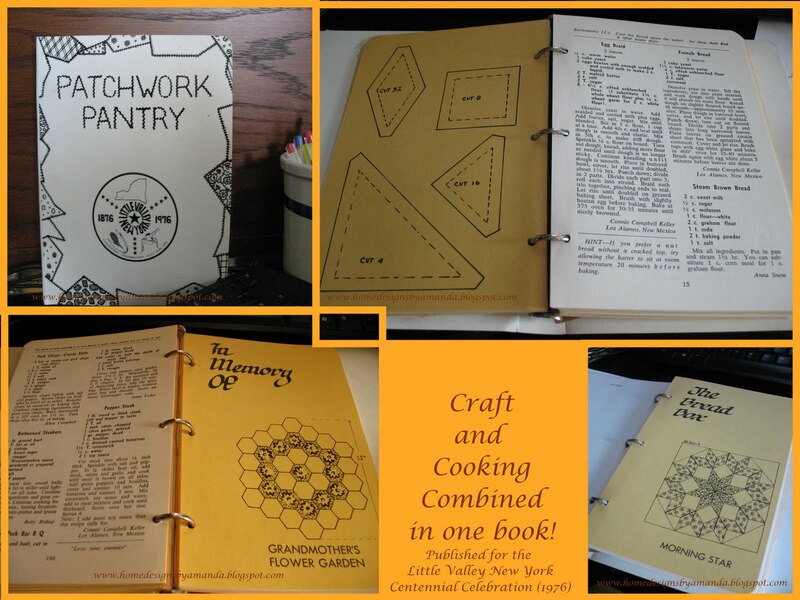 It was compiled in the 70's. The rest of the week I have been working on some donation articles for Ladies in need in Africa...this is part of the Hopeful Threads/Ladybird Ln's August project. "I feel SO BLESSED to live in a land where I have received a free quality education. I was stunned to find out that in many parts of the world, girls are unable to attend school during their menstrual cycle due to lack of regular feminine products, can you imagine? 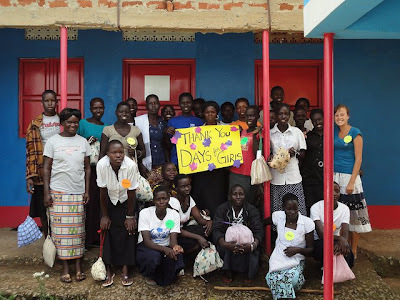 So, although you might not think of feminine pads as a back to school item, they are NEEDED in parts of the world. The option of disposable products just isn't realistic or available for many, so these girls are often found trying to use whatever possible. I have even heard of girls using trash or mud, or missing out on school entirely. That's where our plan of sewing this unusual "Back To School" necessity comes in!" Ladybird Ln has all the information about this project...I felt like participating because this was something I never thought of and have never had to worry about...but these ladies do. I had twelve...a nice number, and not only that it coincides with the number of girls/ladies (including my 2 girls) that are at our church school at least twice a week...by first initial...4A's, E, H, 2 K's, 2 L's, M, & P﻿. The room looks great! 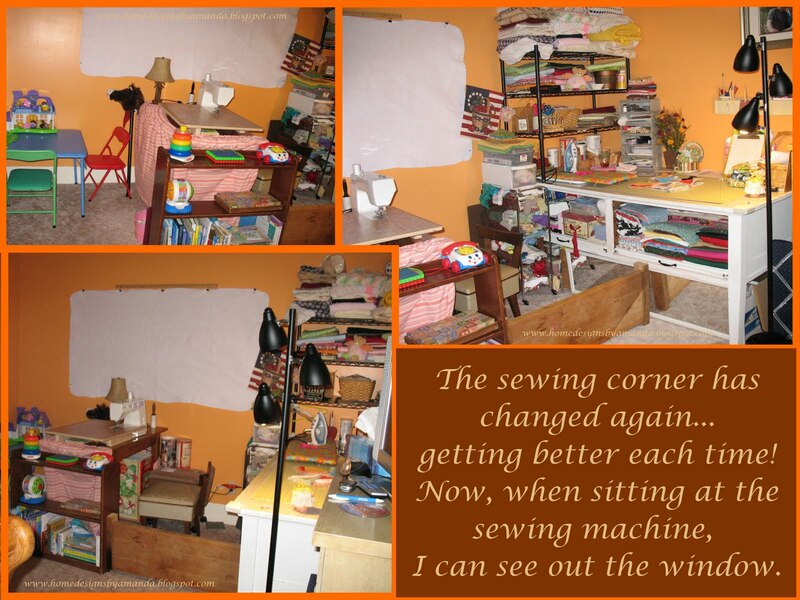 Your sewing space adjusting to allow you a view is a blessing and your pads turned out beautiful!!! You've been busy!!! :) Thanks for participating and giving back with your talents! What a productive week - I have some 'snuggle' quilt tops that, when finished could go to this project as well - should get on that! Very nice post, lovely sewing project to benefit others and organizing always feels great! It is such a great feeling to decluttering, I am hoping to go through a room a week... until I am well decluttered! 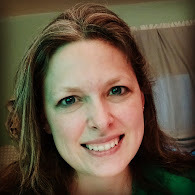 Thank you so much for participating in the Crafting for a Cause project, you are an amazing person, and I am constantly inspired when I visit your blog! Good for you! I'm checking into donating. 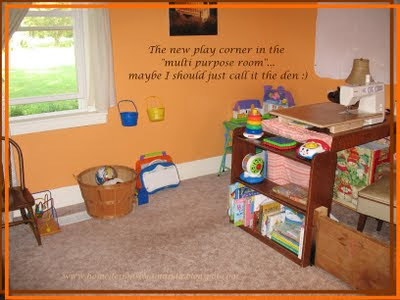 Just blogged about "green" products. I'm a sewer and I'll check into this.